La Mame Games | SPACE-BIFF! 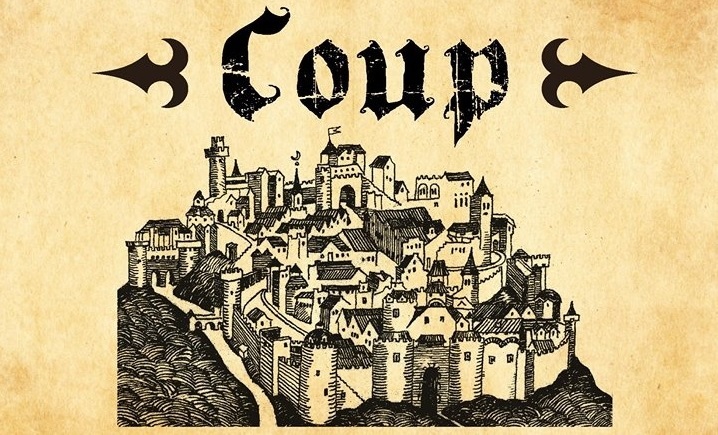 Way back last year, I highlighted a title that was pretty much my ideal filler game: Coup. Confrontation, deception, and bullying, all crammed into one fifteen-minute package. Glorious. Well, now I’ve been given the opportunity to review it all over again, because Coup just got a mouthful of a sequel. Coup: Rebellion G54 they’re calling it, for some reason. And it’s totally blowing me away.